FRESNO – The new Paws-N-Go Market located on the east side of Fresno State’s North Gym opened yesterday, giving Fresno State students and employees a new convenience-type market on the west end of campus. The 900-square-foot store run by University Dining Services provides various personal care and household items, basic school supplies, an assortment of beverages, pre-packaged food and snack items fresh from the university’s Gibson Farm Market. Hours of operation are 11 a.m.-11 p.m. Monday-Thursday and noon-9 p.m. Friday-Sunday. The opening also helped kick off Fresno State’s Homecoming Week and will feature four different giveaways involving gaming headphones, T-shirts, sweatshirts, basketballs and athletic bags. There will also be raffle drawings sponsored by Pepsi. 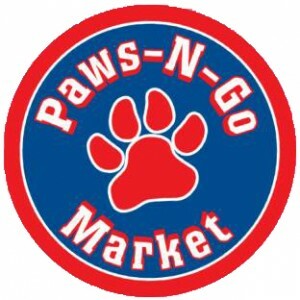 Students living in the University Courtyard will receive a promotional card that gives them five free drinks at Paws-N-Go Market. Dining Services hired six Fresno State students to help operate the Paws-N-Go Market, and Serrano has been involved in the architectural design of the market, tenant improvements to the building and collaborating with a number of student constituent groups like Associated Students Inc., University Student Union board and the Resident’s Hall Association to gain input on products and feedback. Serrano also manages the Starbucks on campus as well as the Satellite Student Union snack bar.